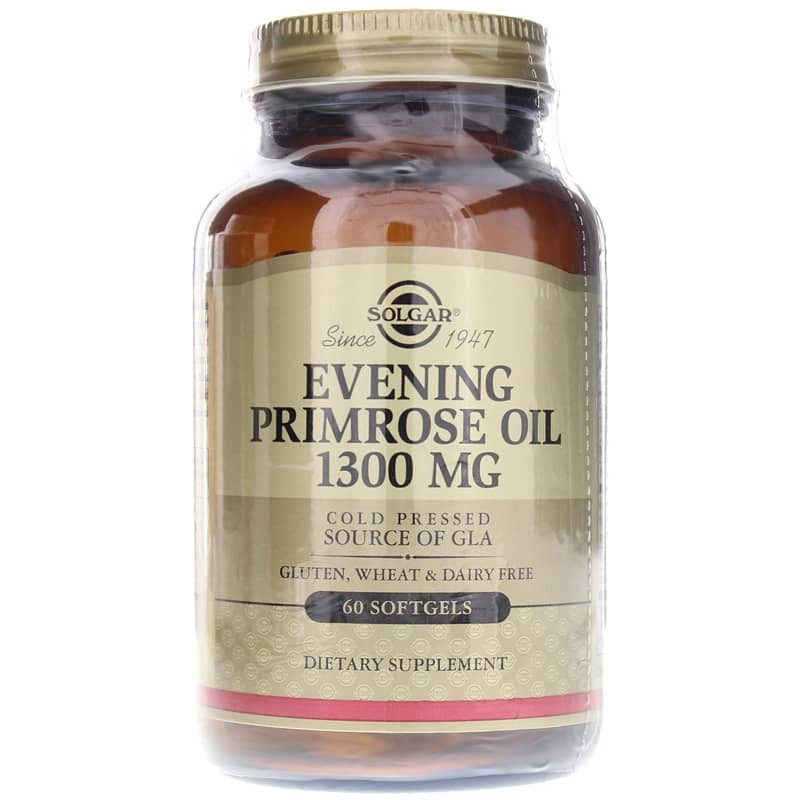 Evening Primrose Oil 1300mg from Solgar is a dietary supplement that contains GLA. Evening Primrose Oil is one of the richest sources of the unsaturated fatty acid Gamma Linolenic Acid (GLA), which is important for womens nutrition. 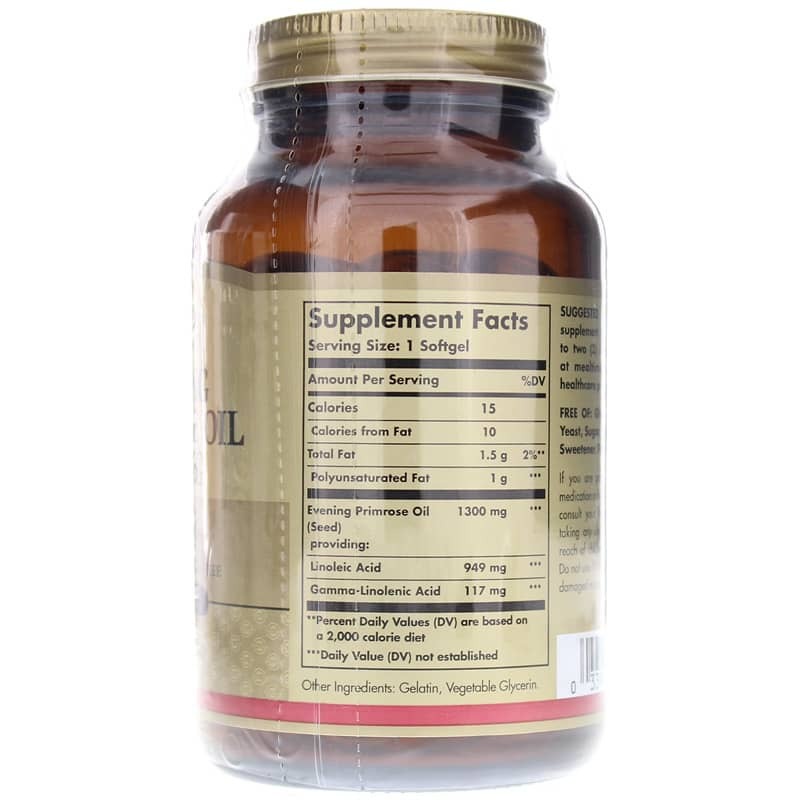 This formulation provides premium quality primrose oil, cold pressed without the use of chemical solvents. 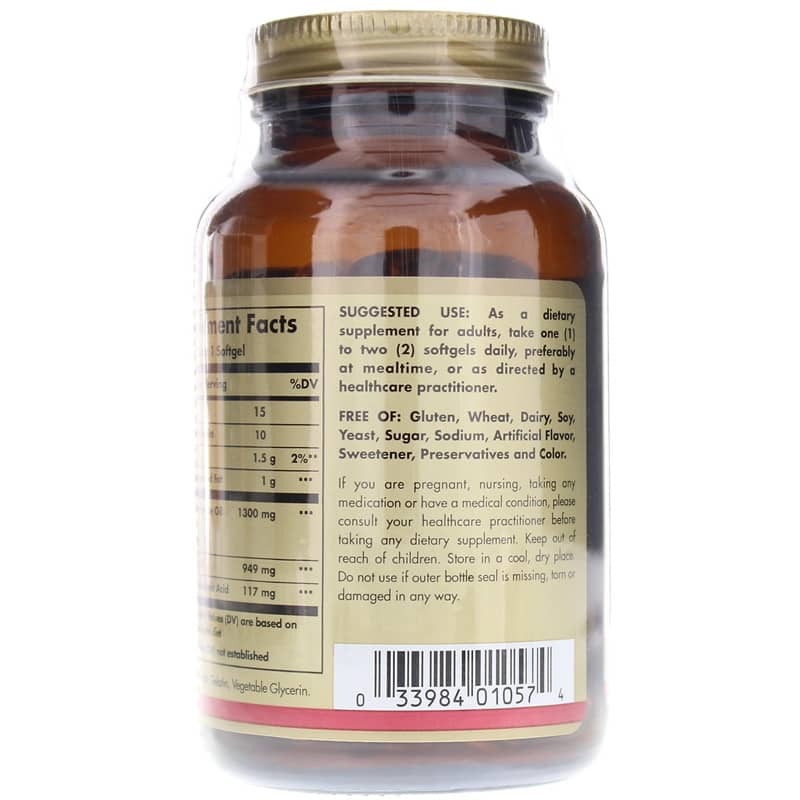 Adults: As a dietary supplement for adults, take one (1) to two (2) softgels daily, preferably at mealtime, or as directed by a healthcare practitioner. If you are pregnant, nursing, taking any medication or have a medical condition, please consult your healthcare practitioner before taking any dietary supplements. Keep out of the reach of children.